This week the Food Network’s Eat St series production team visits Orlando to take a deeper look into a few of our local food truck vendors. On Monday they filmed the Yum Yum Cupcake Truck in Thorton Park. 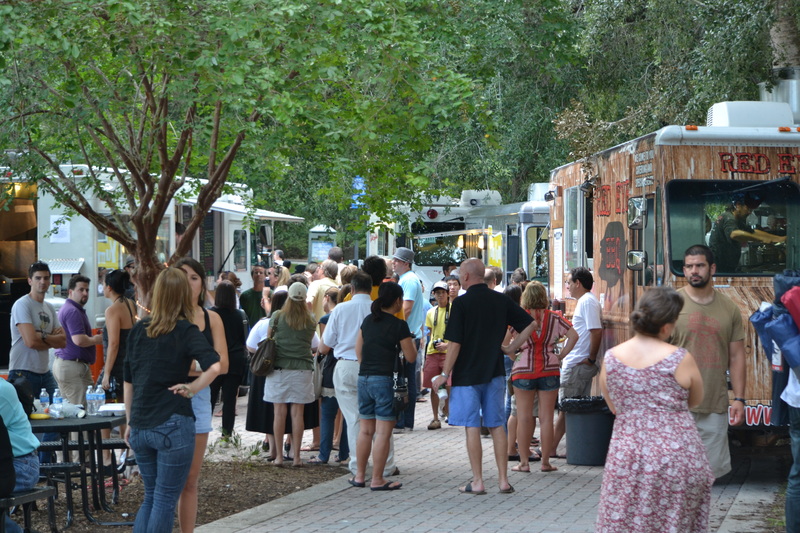 On Tuesday they filmed Big Wheel Provisions at Maitland’s Lake Lily Food Truck Cafe. On Wednesday they filmed Crooked Spoon at the Citgo off University. Expect to see these trucks features on a episode of Eat St in the next few months, along with a host of local bloggers and food truck patrons getting interviewed. Here is a peak at them filming Big Wheel Provisions at Lake Lily on Tuesday. 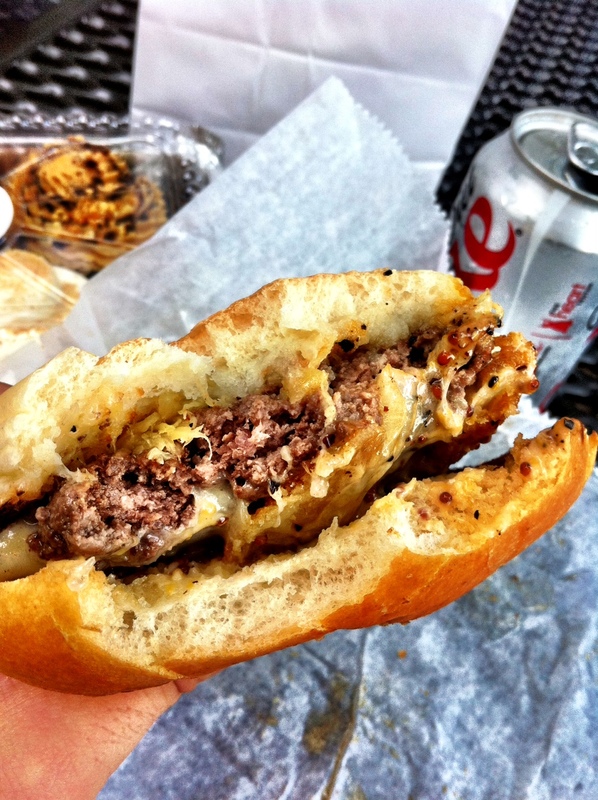 Eat St. is your source for all things street food. Catch them on the Food Network as they explore street eats across North America. Combine the mobile application and you’ll be able to locate, sample and review the best street food on the continent and connect with friends at the same time! Join the street food revolution! Download the iPhone app or the Android App to find the best food in your city and eat it in the sunshine. Lake Lily was packed with people, probably the filming of the Eat St series added to the regular number of people at the Food Truck Cafe. 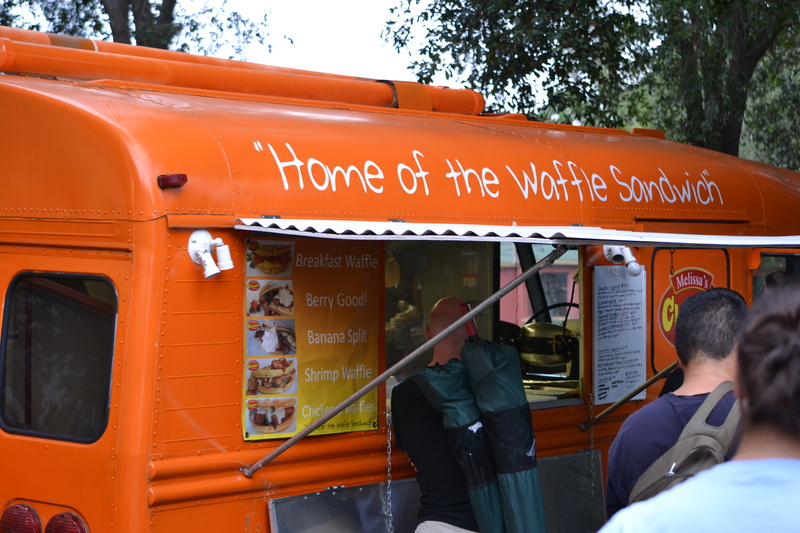 A new truck was visiting, Melissa’s Chicken & Waffle but the lines was moving slow and I wasn’t able to give it a try. It was temporarily replacing Tree House Truck, who was traveling to Miami all last week. I decided to give Crooked Spoon’s 420 Burger a try. 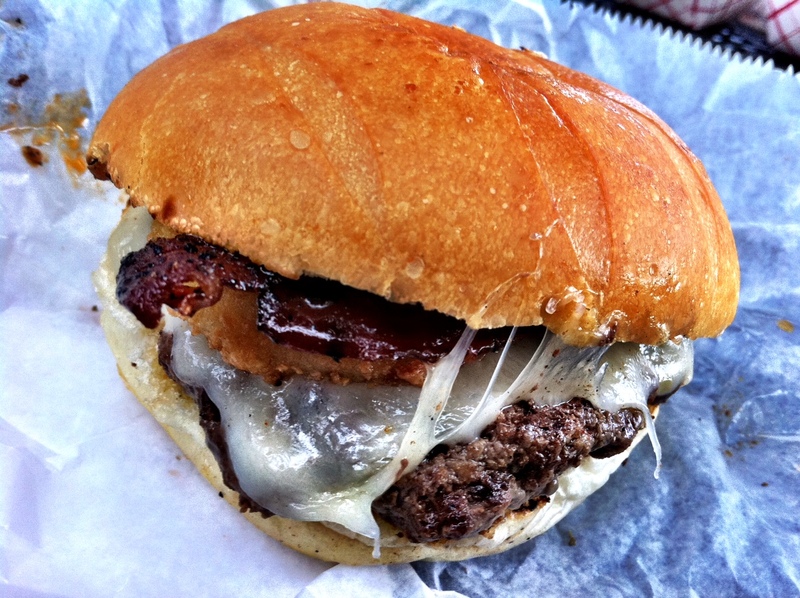 Angus Beef, Pineapple Relish, Spicy Bacon, Swiss, Honey Whole Grain Mustard, and Fried Onion Ring. It was na excellent burger with a little sweet and lots of juicy flavor. Have napkins ready, it might get a little messy. Best way to try a a variety of Yum Yum Cupcakes – pick up a four pack to go! I decided to try the new Key Slime (It was Divine! ), Orange Dream, my personal favorite Peanut butter Chocolate, and Chocolate on Chocolate. The Key Slime was excellent new addition, definitely give it a try.